Hot shooting from Providence leads to 22-point road win. 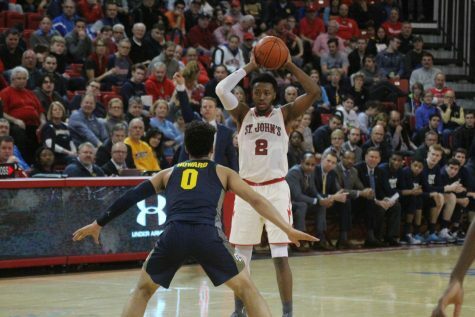 Thursday night at Carnesecca Arena was a tale of two halves, the first showing glimpses of the St. John’s team fans grew accustomed to for the first 12 games of the season, the other a disappointing reminder of the team’s struggles in Big East play over the past couple of years. 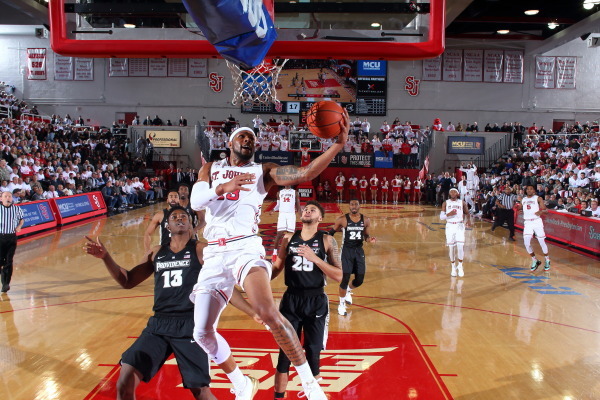 Playing their first conference game of the season, the Red Storm welcomed Providence to a capacity crowd dressed in white t-shirts handed out before the game. 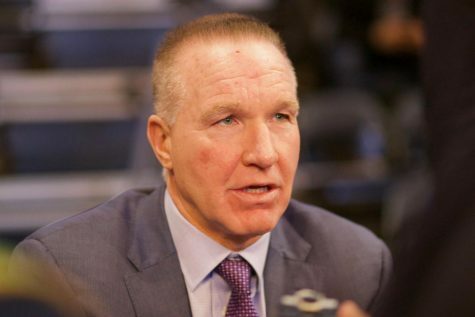 Off to the best start in Chris Mullin’s three seasons as head coach, St. John’s looked to continue its two-game winning streak against a Friars team that defeated Sacred Heart last Friday. 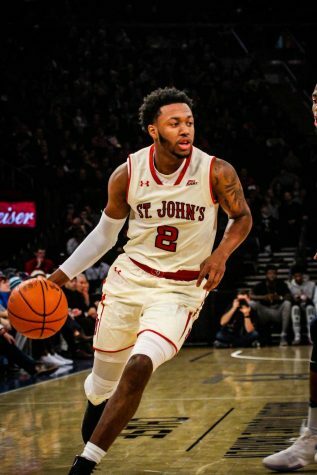 With guard Marcus LoVett already out with a knee injury, the Johnnies’ 94-72 loss stung a little more after guard Shamorie Ponds left midway through the second half with a leg injury. Despite center Tariq Owens picking up two early fouls, the Red Storm managed to limit a big Providence run in his absence. With the game tied at 19 with just under eight minutes to go in the half, freshman guard Bryan Trimble Jr. provided a spark. 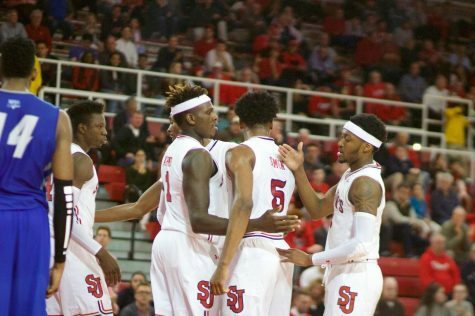 His three-pointer off the bench gave St. John’s a 22-19 lead. 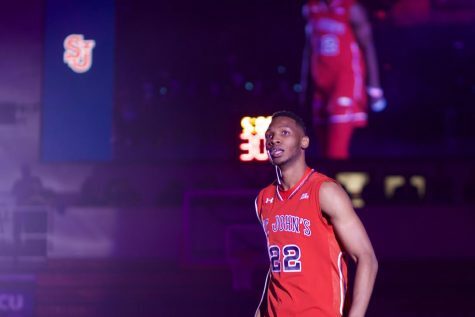 Down by two a few minutes later, the Johnnies went on an 8-0 run behind consecutive threes from Marvin Clark II and Bashir Ahmed. A layup from Ponds-who scored 14 points in the first 20 minutes-put St. John’s up 32-26 with 4:12 to go before halftime. Pacing themselves steadily and responding to every Providence bucket, the Red Storm went into the half trailing 41-40. The second half was highlighted by the Friars’ hot shooting and St. John’s inability emulate their play from the first half. Providence (10-4, 1-0 Big East) shot 61.3 percent from the field in the second frame, and 68.8 percent from three. 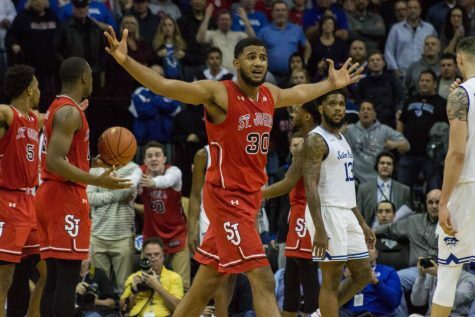 St. John’s (10-3, 0-1 Big East) missed all 10 of their three point attempts in the half. Providence guard Kyron Cartwright knocked down two straight three-pointers to give the Friars a 58-51 lead six minutes into the second half. Just before Providence took a 76-57 lead, Ponds and three other starters were substituted out of the game with 9:10 remaining. Minutes later, a large ace wrap was spotted on Ponds’ right leg. Although the injury was not immediately seen, he remained on the bench for the rest of the game. 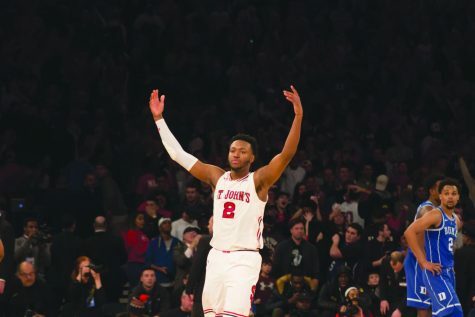 Each time the Johnnies tried to claw their way back into the game, Providence responded. With the game within 13 points with five minutes left, the Friars continued to hit shots. Cartwright, who led Providence with 21 points and 15 assists, found success in driving the lane and kicking the ball out to open shooters on the perimeter. Cartwright hit five triples, while all six of Jalen Lindsey’s made shots were from behind the arc. For the game, the Friars shot 16-30 from three. Four players finished with double figures for Providence. Clark II set career-highs in points and rebounds, scoring 20 and grabbing eight boards. Ponds scored two points after halftime to finish with 16 for the game. Ahmed finished with 12 points. 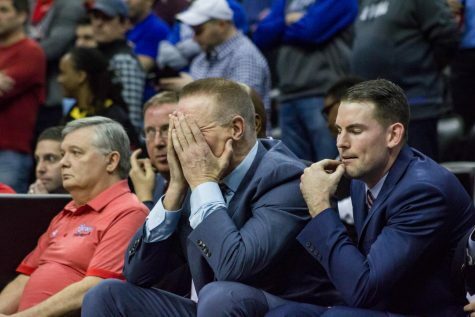 After the game, Mullin remained positive, saying that the team will correct many of the mistakes they made before taking on No. 23 Seton Hall in New Jersey this Sunday. Clark II also reiterated the importance of putting Thursday’s game behind them and getting ready for the Pirates.